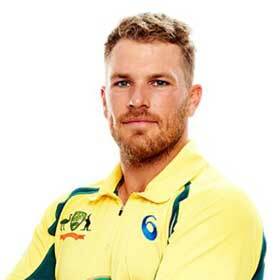 Here is the information like profile and biography of Australia cricket player Aaron Finch. 03-Jul-2018: Aaron Finch smashes records with 172 off 76 against Zimbabwe in tri-series match, the highest individual score in T20Is. 31-Aug-2016: He blitzed an 18-ball half-century, the equal fastest ODI fifty by an Australian. 29-Aug-2013: Aaron Finch set a new world record for the highest individual Twenty20 international score as he made a stunning 156 against England during the first Twenty20 international at Southampton, England.